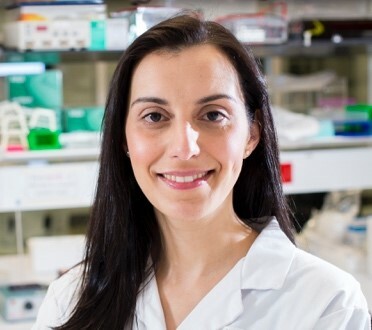 Dr Maria Kaparakis-Liaskos is an inaugural veski Inspiring Women Fellow, Senior Lecturer and Head of the Host-pathogen interactions laboratory at La Trobe University. Her primary research interests are focused on understanding the cellular and molecular mechanisms of host-pathogen interactions with particular focus on bacterial membrane vesicles. Dr Liaskos completed her PhD at The University of Melbourne. She then undertook postdoctoral studies at Monash University, where she and her colleagues identified that bacterial outer membrane vesicles drive inflammation via the host pathogen recognition receptor NOD1. Dr Liaskos’ laboratory uses advanced imaging, molecular and immunological techniques to examine the cellular and molecular mechanisms of pathogenesis mediated by bacterial membrane vesicles. Using these techniques, they have visualised the intracellular trafficking of bacterial outer membrane vesicle in host cells and identified that bacterial membrane vesicles undergo degradation via autophagy, a process which is essential to drive inflammation in the host.